It is with great delight and pride that Ysgol Clywedog are introducing a new school uniform for September 2019. To gear up for the September launch of the new uniform, images are attached to this letter and the new design will be put on show to parents, students and staff during the summer term. A desire to change the uniform has been met with widespread parent, pupil and staff approval and support. 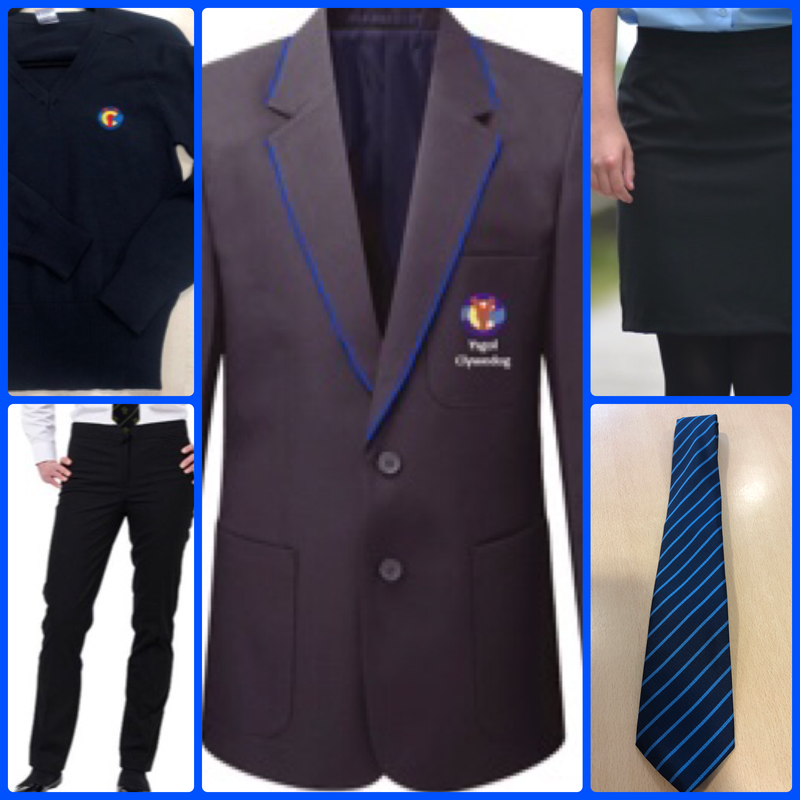 Mixing traditional styling based on original school uniforms, alongside modern tailoring, this new uniform will raise aspirations within the community and set Ysgol Clywedog School apart. This formal dress will give our pupils a sense of pride and ownership that will transcend into the world of work and adulthood far beyond school. The new uniform will be fully implemented from September 2019 and the school will insist on 100% compliance. Students returning in September without the correct uniform will be asked to return in the appropriate uniform as outlined in our current school uniform policy. Keep the current PE kit, but look to see if there is a cheaper option for the future. Any future changes would be phased in as kit wears out and not implemented on a particular date. Keep the current white shirt and black legwear to reduce costs and specify a school skirt and school trousers that adhere to the school rules. Allow a wider range of black footwear to include all black shoes that are leather or leather look. * The jumper and tie would replace the current sweatshirt and tie. The governing body have given a commitment to help reduce the cost of the uniform for Year 11 pupils, as they will only be expected to wear the uniform for one year. The school will purchase back any usable blazers and ties from year 11 at 50% of purchase price in July 2020. In order to further support families, the Governing Body have also agreed that financial support would be available to parents with multiple children at the school. The school will cover the cost of 50% of the blazer for a second child and provide a free blazer for the third child for parents who have more than one child at the school in September 2019. Any students in receipt of free school meals in year 7 will also be able to access the Welsh Government Access Grant once announced. We will also ensure, if any parents have issues surrounding the cost of the uniform not listed above, the school will assist on a case by case basis. The school wants to do everything possible to make sure all families will be able to afford the new uniform. We would like to thank all parents who responded to the consultation letter. We received several emails and comments supported the need for a change to the school uniform. Total concern responses: 15 (12 related to cost, 2 related to enforcing uniform and I related to the logo). It is not acceptable to expect current Y10 students to buy the blazer for 1 year only. As detailed in response to the consultation the school will purchase back any usable blazers from year 11 (current year 10) at 50% of purchase price in July 2020. The price has been considered carefully over the 5 years of your child’s time at Ysgol Clywedog. The life of the blazer will be longer than the life of the sweatshirt. Ysgol Clywedog has the core values of standards, respect, achievement and care that should extend to all aspects of school life. Students who are invested in their school community achieve better. 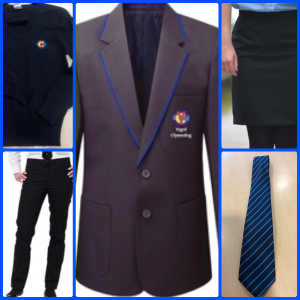 Uniforms create a shared sense of identity and pride in our school and importantly they take away the stress of deciding what to wear and the risk of bullying due to your clothing. Uniforms are also shown to promote a sense of purpose and schools with a strict uniform code often achieve better exam results as a consequence of high expectations. Uniform expectations are unclear and not consistent. There have been some natural changes to the uniform over the last few years due to unclear communication of the expectations of uniform. With a new uniform we all have an opportunity to clarify expectation and enforce standards. With only 1 skirt and 1 pair of trousers available for the students we are trying to remove all ambiguity regarding legwear in particular. Uniforms are designed to promote a sense of identity and pride in our school and ensure equality. If I refuse to buy the uniform can we assume that you will not reprimand my child but me as the parent? The school uniform policy will be enforced for all students at Ysgol Clywedog. If a parent chooses to disregard the policy their child will receive the sanctions outlined clearly in the behaviour policy. 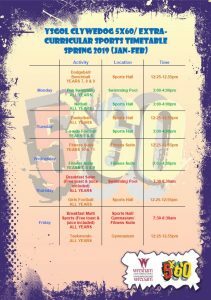 Why have you not sent out a uniform list and documentation yet? RAM Leisure, Wrexham, will be producing a new list for parents and their website and store will be selling Ysgol Clywedog uniform in the summer term. Will new uniform be bought for all existing students by the school? No. Ysgol Clywedog will not be funding new school uniforms for all students. If any families have concerns about being able to purchase the new uniform or would like any advice about financial assistance they should contact the school. Can you confirm that the new uniform will be compulsory from September, and will not be phased in as new items of uniform are required? We can confirm that for current year 6 to year 11, the new uniform would be required for all. No old uniform would be permitted from September 2019. 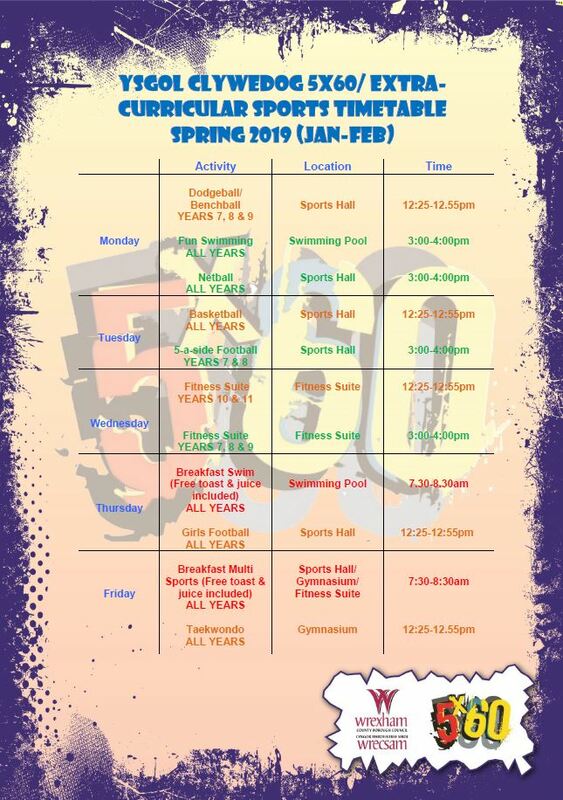 During the summer term 2019 we would not expect parents to buy new sweatshirts or ties just for that term. Due to the wide variety of black skirts and trousers available from fashion outlets which do not comply with the policy, the variation makes enforcing a non-school shop black skirt impossible for any school. The introduction of bespoke legwear removes any ambiguity for parents, students and staff. Can you clarify the cost of the uniform as different prices have been communicated? A final price list will she published in the coming weeks. This year for International Women day 2019, the Wrexham Participation Team and Senedd yr Ifanc gave some of the young women of Ysgol Clywedog the opportunity to shadow some of Wrexham’s inspirational professional women. Year 9 students Samara spent the day with Cllr Krista Child, Kate spent the day with Susan Price, Principal of Collage Cambria, Amber spent the day with Lynsey Rawlinson from Natural Recourse Wales and Mia spent the day with Pippa Lace, a teacher in St Christophers High School. This year saw professional from a range of setting take part from service mangers of Wrexham Council, County Councillors, directors in the NHS, doctors within the NHS, mangers in Natural Resource Wales, a teacher within St Christophers High School, a Principal with Collage Cambria and National Assembly Member for Wrexham. There was a large range of opportunities for the young women of Wrexham. The Wrexham Participation Team and Ysgol Clywedog would like to thank all the professionals involved this year, all the young women involved loved their experience and learnt a great deal from their day. 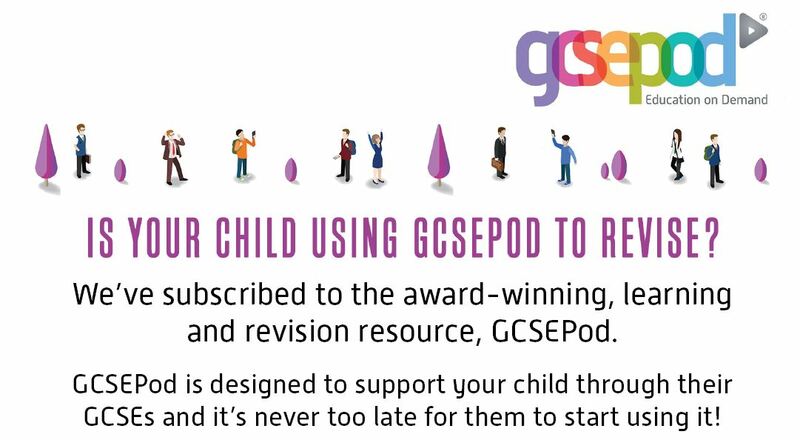 Is your child using GCSEPod to revise? 3-5 minute expert-written videos (‘Pods’) covering all the key knowledge needed for 21 GCSE subjects. Exam specific playlists (‘My Courses’) provide ready-made revision. Watch Pods together and use the identified key words to create flashcards, memory posters and mind maps. Students can test their knowledge in GCSEPod assignments set by their teacher. Your child should already be aware of their login details. The 5×60 Young Sports Ambassadors have made an invaluable contribution to the programme this year. As well as all of their work outside of school with the Active Wrexham Volunteer Programme, the 4 young ambassadors Emily (Year 11), Emily (Year 10), Maisie (Year 10) and Laura (Year 10) have contributed over 200 hours to support other students at Ysgol Clywedog in their 5×60 activities. We would like to say a huge thank you to these four girls. They will receive their 50 hour certificates in their year group assemblies.